As the trade war escalated between the United States and China this spring, American cherry exporters in Washington state unexpectedly found their customs processing slowed at the Chinese border. Unannounced, increased inspections began in late May and in early June. The extra time the inspections took backed up shipments into mainland China, leading to some shipments rotting on the docks and forcing exporters to divert their produce so it could be sold before it spoiled. Then, almost as suddenly as they were put in place, the increased inspections stopped, said Keith Hu, director of international operations at the Northwest Cherry Growers. As President Donald Trump has escalated trade tensions throughout 2018, extra scrutiny and inexplicable shipment rejections have come to symbolize the pitfalls, beyond tariffs, that American firms doing business in China have faced. Data on such disruptions is hard to come by. But more than one in four businesses that responded to a recent U.S.-China Business Council survey said they have been subject to increased scrutiny from Chinese regulators as a result of the increasing trade tensions. Those companies also ranked political risk associated with the U.S.-China relationship as their top challenge for the first time since the survey began 10 years ago. Disparate American goods such as oranges, logs, calf skins and even Lincoln vehicles have encountered heightened customs reviews at Chinese ports this year. Multinational companies already accustomed to the sometimes difficult environment have reported an uptick in the number of hurdles they must jump through in order to do business in the increasingly lucrative market. The cherry growers group — which represents 2,500 growers in Idaho, Montana, Oregon, Utah and Washington state — relies heavily on getting fresh fruit to consumers in China during the three-month window when nine varieties of cherries are ripe. The growers ended up rerouting some sea shipments to Hong Kong or Taiwan and away from China, where the country’s large and growing middle class has embraced the fruit in recent years. Air shipments to China, which were normally cleared by customs in half a day, also dried up. The trade group estimated in November that tariffs and other barriers have cost the industry $89 million in lost sales this year. Chinese officials rarely tie such actions directly to any international tensions, and they often go unnoticed outside the industries that are affected by them, trade experts said. But they are part of a well-worn playbook for the Chinese government, which has used these and other non-tariff barriers for years during political squabbles. Trump, a self-proclaimed “Tariff Man,” has used those taxes as the ultimate punishment when it comes to fighting a trade war against Beijing. So far, he has imposed tariffs on about half of all Chinese imports. He has also threatened to slap tariffs on the remaining U.S. $267 billion in Chinese goods. On the flip side, the total value of products that China imports from the U.S. represents just one-fourth of what it exports, so Beijing cannot match U.S. tariffs dollar for dollar. But China has many other weapons in its arsenal to make doing business painful and costly. U.S. companies’ complaints include delays in getting licenses approved and increased regulatory requirements that have seemed to grow worse in tandem with the worsening trade relationship between the two countries. Chinese customs authorities announced in May they were strengthening their reviews and quarantines of American apples and logs over concerns about introducing harmful organisms to China. 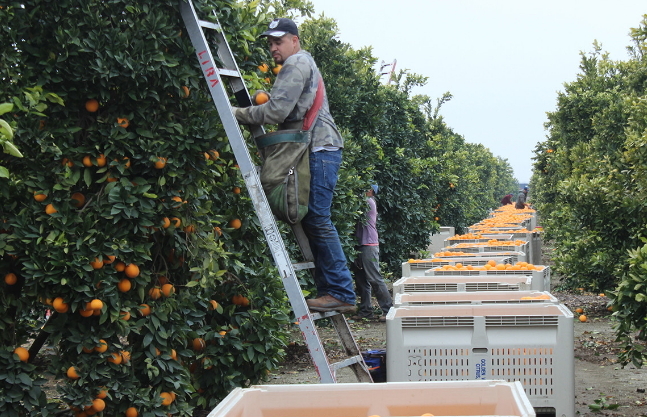 Joel Nelsen, president of the trade group California Citrus Mutual, said that while the customs slowdowns this year were concerning, more worrying were retaliatory tariffs by the Chinese government that increased citrus import prices by 40 percent. 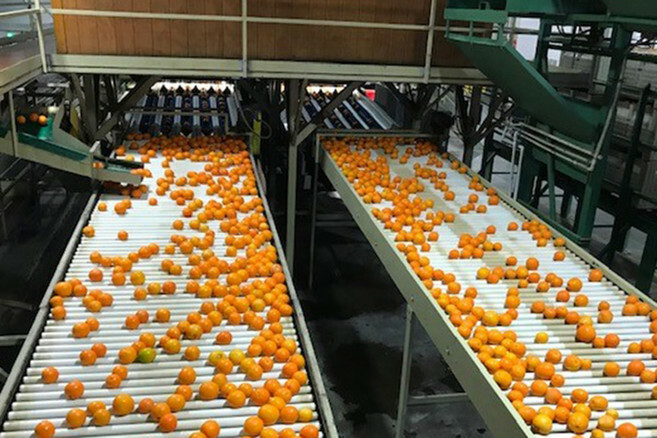 Nelsen said it was difficult to find new buyers for the shipments and so orange farmers had to rely on the domestic U.S. market to absorb the extra fruit. The hot-and-cold war between the world’s two largest economies has hit small businesses particularly hard. A family-owned company in New England had a routine shipment of calf skins to China rejected this summer because the official count for the container of some 800 hides was off by a handful. The shipment of calf skins was left idling at a port in southeastern China for more than a month before it was ultimately sent back to the U.S.. That resulted in a nearly U.S.$50,000 loss for the company, which requested anonymity for fear of further retaliation from the Chinese government. China’s erratic regulatory system also makes it difficult to establish what is related to the trade war and what counts as business as usual in the country’s Darwinian business world. Moreover, discerning a top-down directive from the actions of an overzealous or corrupt local official can be nearly impossible. Earlier this year, California-based manufacturer Beach House was suddenly told that supplies of fabrics and plastics it uses to make children’s playhouses in two manufacturing facilities in the Chinese cities Dongguan and Ningbo would now cost between 10 percent and 30 percent more. 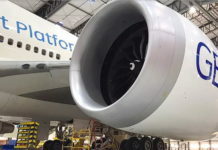 The company’s suppliers said that changes to environmental regulations meant the factories making these components needed to be upgraded, Itai Leffler, the company’s group business development manager, said. The company was given no notice, nor did any government officials ever explain whether environmental regulations had officially changed, he said. China’s Ministry of Commerce did not reply to requests for comment about whether China was deploying non-tariff barriers against U.S. companies. 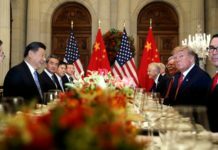 The uncertainty caused by the trade war also has made some local Chinese officials reluctant to meet with American executives, according to Jason Wright, founder of Hong Kong-based business intelligence firm Argo Associates. “That’s partly just because local officials might [not] be sure of the overall situation, they may be very reluctant to step out and approve significant projects,” Wright said. 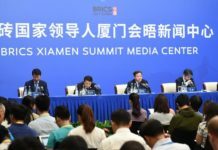 While Beijing has not been shy in the past about issuing strict and obvious economic punishments against countries with which it was locked in disputes, the Chinese government appears to be more hesitant in the current environment to antagonize the U.S..
For example, the customs delays on fruits and other produce this spring disappeared within about three weeks, after high-level meetings between the two countries. Some see the tougher inspections and other actions as one-offs. 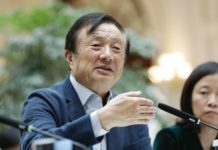 Beyond a few American “poster children” being hit earlier this year, non-tariff barriers have not been a big deal for many American companies in China, William Zarit, the chairman of the American Chamber of Commerce in China, said. In a recent AmCham survey, some 47 percent of the 430 businesses that responded said they had seen no increase at all in non-tariff barriers. About 27 percent said they had experienced increased inspections in recent months, while 23 percent said they had experienced slower customs clearance, according to the survey. It was conducted between Aug. 29 and Sept. 5, before the U.S. imposed a 10 percent tariff on $200 billion in Chinese imports. The Office of the U.S. Trade Representative did not respond to repeated requests for comment on the issue. A Commerce official said the agency tracks non-tariff-related issues and works with companies to resolve them, without offering further detail. Pence pointed to an example in which Beijing “threatened to deny a business license for a major U.S. corporation,” which he did not name, unless it spoke out against the administration’s trade policies. Following a meeting between Chinese President Xi Jinping and Trump at the G-20 leaders’ summit in Buenos Aires this month, the two countries declared a 90-day truce to negotiate, but tensions have remained high. 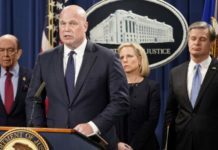 Since then, Huawei’s chief financial officer, Meng Wanzhou, was arrested in Canada on the request of the U.S., raising questions about whether her detention was politically motivated to pressure Beijing. That has led to concerns that China may retaliate by targeting American executives. 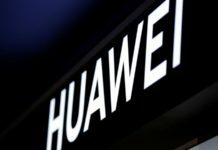 Three Canadian citizens have been detained in China in what has widely been regarded as direct retaliation for Meng’s arrest. 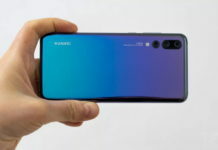 Further muddying the waters, Trump said he would be willing to intervene in the Huawei case if it meant securing a trade deal. Compared to China’s actions during other recent trade disputes, the measures taken against U.S. firms to date appear minor. During a diplomatic showdown with Japan in 2010, the Chinese government placed a temporary ban on exports of rare earth minerals to its neighbor. Two years later, sales of Toyotas and Hondas plummeted in China, after state-run media instigated a boycott of Japanese goods in another territorial dispute. Japanese businesses, including sushi restaurants, were attacked as thousands of Chinese people took to the streets to protest. In addition to actions by government officials, foreign companies can face sabotage from private sector competitors, said Josh Gardner, the chief executive of Kung Fu Data, a Beijing-based company that runs e-commerce operations for international firms in China. In one recent example, Gardner said a retail client was hit by local competitors lobbying tax officials to “fine and hamper” the company.